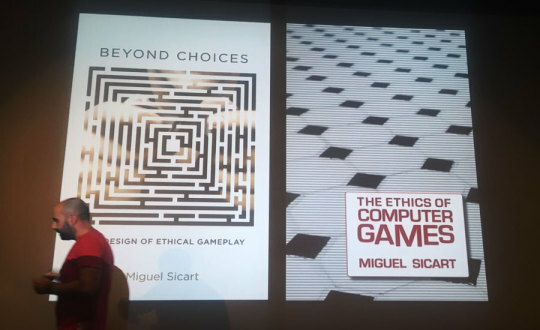 Yesterday we we’re at SpilBar in Copenhagen, showcasing the game and listening to great talks about moral choices in games. I of course support the idea that games can be much more than entertainment (not saying that entertainment is anything wrong, though). 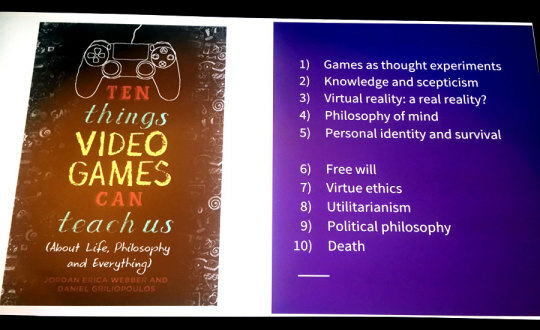 Jordan Erica Webber presented ideas from the book “Ten things Video Games can teach us about Life, Philosophy and Everything”, by herself and Daniel Griliopoulos, and Miguel Sicart talked on the topic “Choices That Matter: Games Through the Lens of Ethics”. Tomasz Kisilewicz gave us his thoughts on the processes of making This War of Mine and Frostpunk. In Knife Sisters I’m also dealing with ethical dilemmas and the question of how far you are willing to go to be accepted by someone you love. Most of us want to make the right choices – but how do you actually know what’s right? That’s up to you to decide, while playing the game.